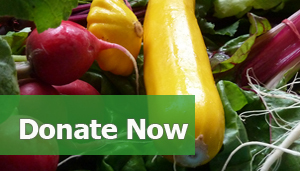 Donate today and help make fresh food from our local farms affordable and accessible for everyone! Many communities in Nova Scotia struggle with food and income insecurity – while at the same time our farmers find it difficult to make a living. The Our Food Project believes that both small farmers and low-income communities have the right to adequate income and an equitable food system. For this reason we’re helping to connect at-risk communities to healthy food sources. By supporting local producers, educating eaters, and advocating for food policy change, we believe we can help to create a more equitable, sustainable and localized food system. Our Cost-Share Local Food Box Program aims to make fresh, locally farmed produce affordable and accessible for everyone. We have a version of this model operating in Cumberland County and Cape Breton Island. The model is adapted to fit each regions resources and networks. NOTE: If you would like to donate to a specific region, please type "Cumberland" or "Cape Breton" in the "Send my donation here" field on the donation form. 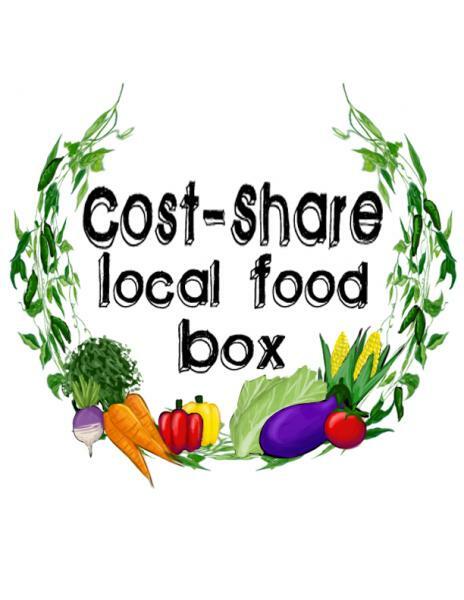 In Cape Breton, we started the Cost-Share Local Food Box Program in 2016. In partnership with the Pan Cape Breton Food Hub we provide Glace Bay Food Bank with fresh, local food. We have the unique advantage of having a Cape Breton wide distribution system in place. The Food Hub links our producers to our very spread out consumer base. Through a web based marketplace, and carefully orchestrated pick-up and delivery, the Food Hub is changing the food landscape of the island. For the purposes of our cost-share program, the Food Hub is helping to coordinate fundraising, ordering, distribution, and a series of cooking workshops to be delivered in conjunction with the food box programs. For select families from the Glace Bay Food Bank, the local food boxes will be provided at full subsidy, but most shares will be subsidized at a rate of $10/week per member. Participants can order as much or as little as they can afford beyond that. We are raising money through public donations to cover the subsidy portion. As a community, we can share in leveling the playing field on health equity. If you'd like to donate specifically to the Cape Breton food box program, please type "Cape Breton" in the "Send my donation here" field on the donation form. In Cumberland, where the program started in 2014, our cost-share program operates a lot like a traditional Community Supported Agriculture (CSA) share. CSAs are a commitment between a farm and a household for a season of food. For the Cost-Share Local Food Box Program, we make seasonal, local food boxes available at half the cost (only $10/week! ), to individuals and families facing financial barriers. We raise the remaining $10 through community donations...That's where YOU come in! Our goal is to raise $7,500 which will feed 30 families healthy, nutritious fresh local food for one growing season (approx. 25 weeks). You can support this innovative project in Cumberland by donating any amount. Donors of $15 or more will receive a charitable tax receipt. If you'd like to donate specifically to Cumberland County, please type "Cumberland" in the "Send my donation here" field on the donation form. The Cost-Share Local Food Box Program in Cumberland County is a partnership between the Ecology Action Centre, the Cumberland Food Action Network (CFAN) and the following farms: Good Thyme Farm, Side By Each Farm, Wysmykal Farm. For more information, contact Katie Castleton. "The Local Food Box Program is a great way for seniors on fixed incomes to access fresh, healthy veggies" and "I feel good about supporting our local farms".